Timothy L. submitted this photo and caption. 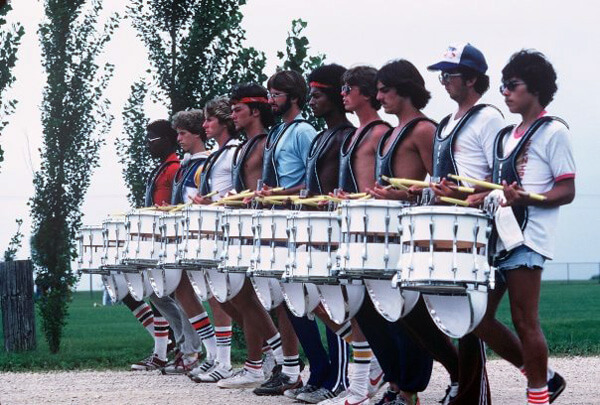 Phantom Regiment snare line, 1981. Photo was taken by my dad, Joseph who passed away in 1993. How about those socks?This was also the first year of the HV drum.